TWC and Dimension have hired Saw V, Saw VI, The Collector and "Saw 3D" scribes Patrick Melton and Marcus Dunstan to crank out a script for a late Summer 2011 release. Producer Mark Canton says they are aiming for August. 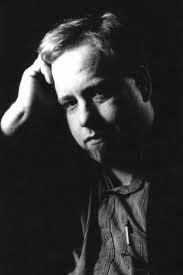 Dunstan and Melton will also be reunited with director John Gulager, who has been selected to direct. This trio have previously worked together on Gulager's Feast trilogy. As of now no real details have surfaced on the sequel, mainly because Melton and Dunstan were just recently hired. Previous Piranha 3D director Alexander Aja had mentioned doing a Full Moon Party that takes place annually in Thailand, but with Aja off the project there's no telling what approach the newly hired writers and director will take. 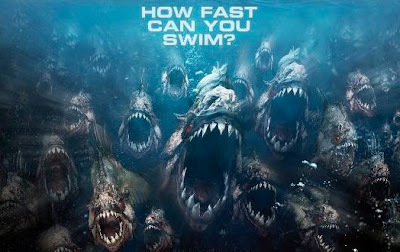 Common sense would have me believe the sequel would stay close to the location of the original film, but being that Piranha live in water and over 70% of the Earth is covered in it, the sequel has the potential to move to a ton of new locations. Now I enjoyed this year's Piranha 3D and definitely look forward to further installments. The fact the TWC and Dimension went out and got a capable director in John Gulager who can put together a solid film on a small budget excites me quite a bit. Scribes Patrick Melton and Marcus Dunstan have been pretty hit or miss with me, but their work with Gulager has remained worth watching. So consider my ears perked on this project.